Students Council members had a busy February. For Valentine’s Day, they held their yearly flower, candygram and singing telegram sale. One of the new additions was the introduction of Chick-fil-a oatmeal chocolate chip cookies. 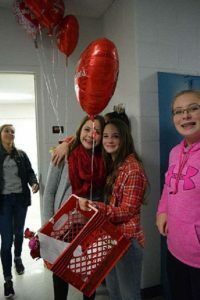 Student Council members delivered the items to recipients throughout the day. 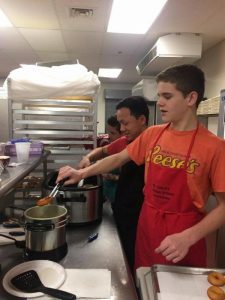 On February 28th, Student Council members prepared fastnacht donuts to be sold to the student body. Students were able to purchase milk and a fastnacht as a snack during the day. New 1,000 Point Club Members! 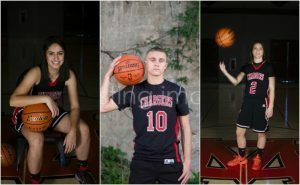 Jack Lachance, Abigail Rutt, and Lydia Ewing all hit a personal milestone in their high school basketball careers this season. The three seniors hit 1000 points over the four years they played basketball at Mount Calvary. Melissa Risser was born in Mehoopany, PA. She is married with three children and her extended family includes a brother and sister. Currently, she is a part-time science teacher here at MCCS. She loves running, cooking, reading and being a mom. 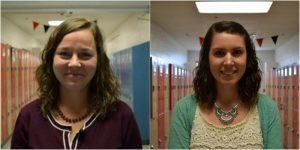 Prior to her time here at MCCS, she was a chemistry teacher at Manheim Township High School. She now lives on a large dairy farm with her family. Danielle Krug was born in Ticonderoga, New York where she loved riding four wheeler. She is married and her extended family includes a brother and sister. Mrs. Krug teachs fourth grade here at Mount Calvary and loves crafting. Before coming to Mount Calvary to work, she was an employee at Yankee Candles and taught Kindergarten.